This was a quirky & captivating story. I hadn't read a travel book for a while & picked this one more or less randomly from the local library shelves. It's not often that I want to read a book over again as soon as I finish it, but this one had that effect on me. I think that it might bear reading again and I will get something different again from it. The author clearly states that her writing is a weaving of facts & story in order to reveal the truth of her journey. Catrina, the author & main character, sets off on a journey alone to unknown places, surrounded by grief & loss. As the trip she takes progresses she meets people & situations that lead her to discover that she has far more courage than she thinks, is far more independent than she ever imagined she could be. As she journeys, she comes to terms with the grief & loss she has experienced, comes to find her own inner strength & learns to play her cello much better! 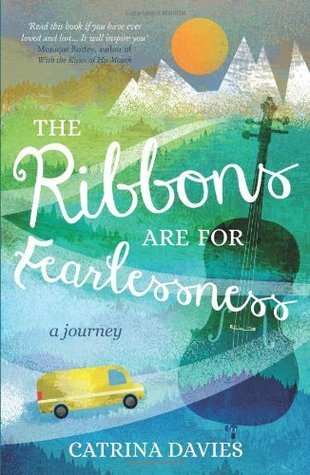 Sign into Goodreads to see if any of your friends have read The Ribbons are for Fearlessness.